It’s time of the year. Christmas is around the corner and shopping for gifts for loved ones is the job keeping most of us busy. But you know what’s more time-consuming and trickier than shopping for the gift, finding for the right one. Here’s making your life easy. 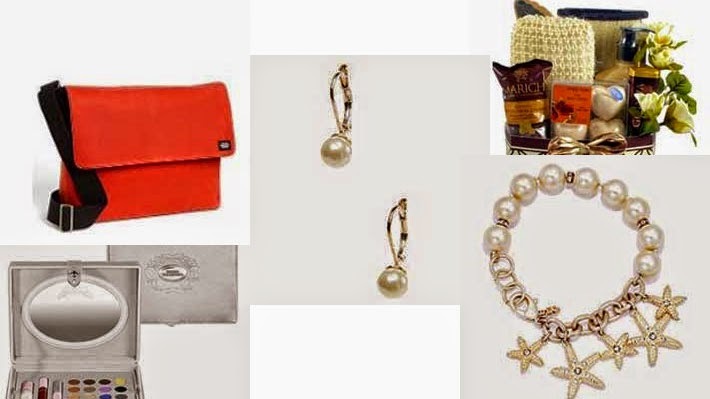 Presenting a fine selection of Christmas gifts for her that wouldn’t burn a hole in your pocket. Just browse, click and go! Wishing you happy holidays and merry Christmas. Retail - $299 Christmas Offer - $54.85 + Free Shipping This made-in-Canada, limited-edition box would be the perfect Christmas gift for a special lady. 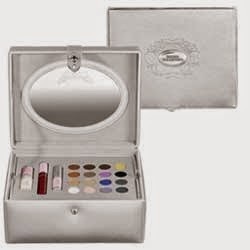 The box contains pearl glow primer, ruby gem gloss, black opal mascara along with 16 eye dream eye shadows. The silver jewelry box approximately 9" X 7" X 5" in size. Christmas Offer - $54.85 + Free Shipping Pamper that special lady with a spa basket, giving her what every woman would relish – some time to herself. 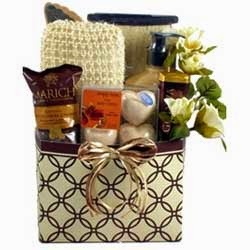 The basket contains three Rich Amber Jewel Bath Fizzers, Terry Cloth Bath Sponge, Godiva Solid Dark Chocolate Bar, English Toffee Caramels, Vanilla Cream Caramel Hand and Body Lotion, Gift Boxed Bamboo Bath Strap, Hardwood Pedicure Groomer. Couldn’t get better! Get added savings with coupon coupons from GeoQpons. Petite, pretty and perfect for the lovely, graceful woman in your life. 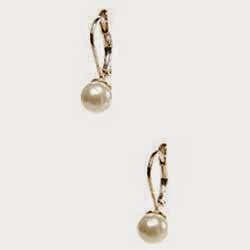 Pearl drop earrings are a classic; they accentuate every style and add subtle statement to every occasion and place. 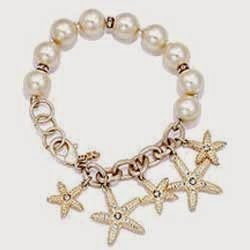 Team them with a pearl charm bracelet to make the perfect Christmas gift for a lady ad beautiful. Click to get these earrings. You can never go wrong with pearls. Classic pearls in a chic design, this bracelet would sure impress the special woman its meant to. Team it with the earrings above to make an awesome Christmas gift for that special lady. 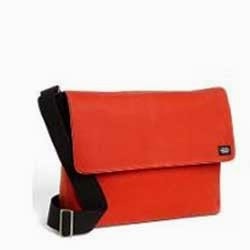 She’s independent, smart, outgoing; she deserves this chic and stylish laptop bag. Jack Spade’s Waxwear laptop bag isdurable canvas fabrication that stands up to daily wear-and-tear, while the chic design glams up the utility. Get two exterior slip pockets to keep phone and keys handy. Wish her Christmas in style with this awesome gift.